← No more posts about the fence .. I promise! 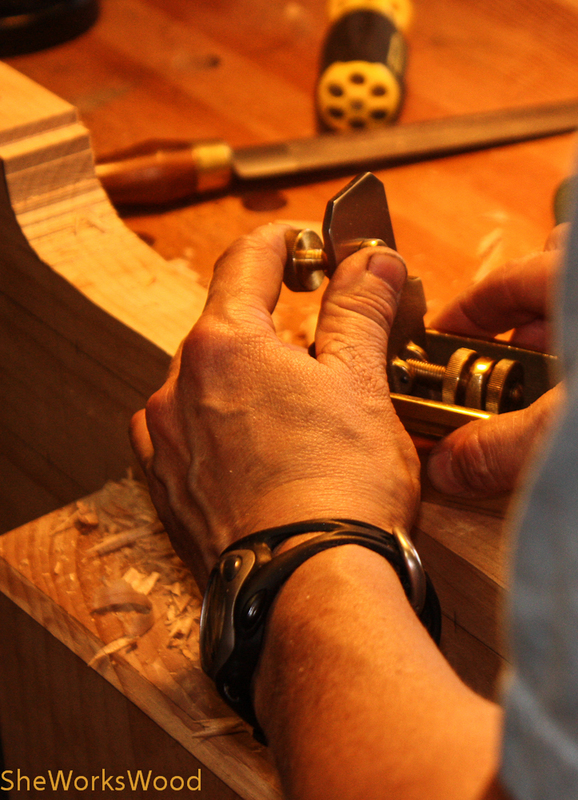 Back to the workbench! (yippee!) First the layout, of course. 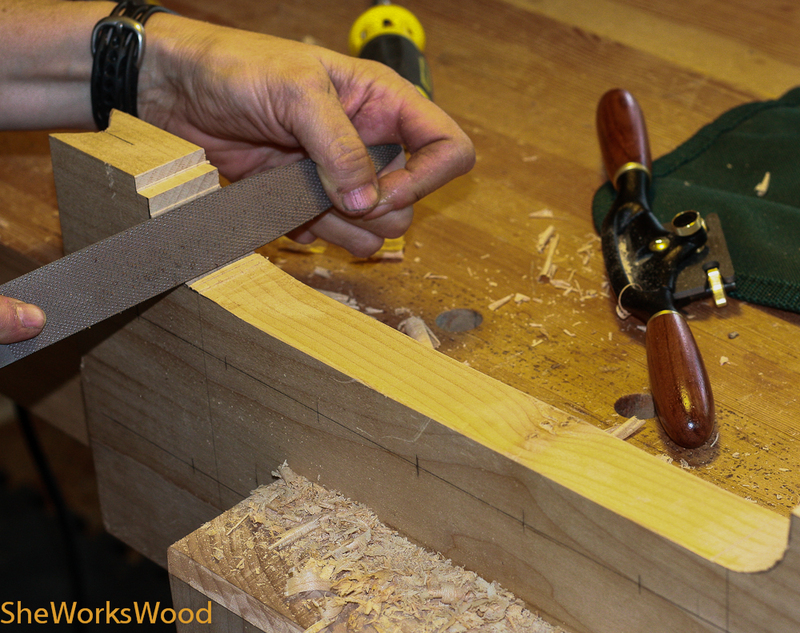 After cutting the overall shape on the band saw, I used my newly installed leg vise to start the final shaping. 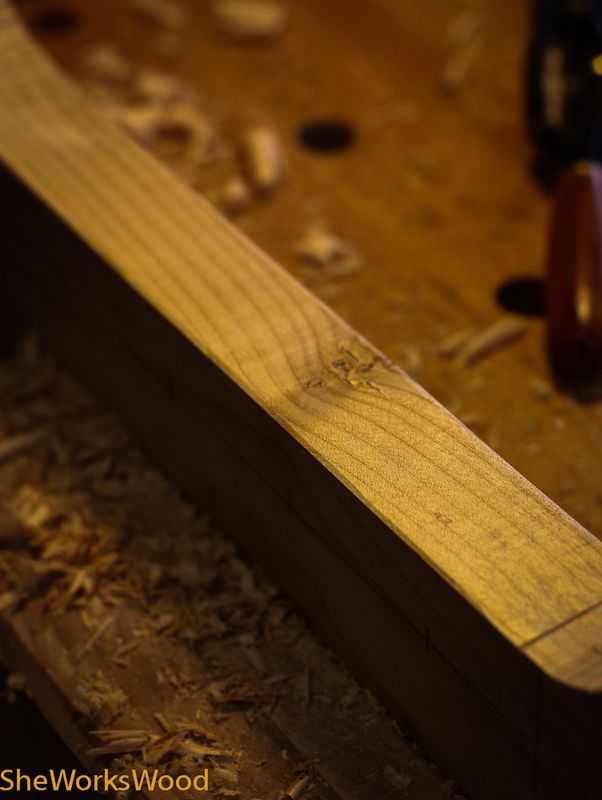 First using the spoke shave to get out the unevenness created by the bandsaw blade. There was a nasty knot right in the middle of both sides, but my small scraper did a really nice job of cleaning it up. 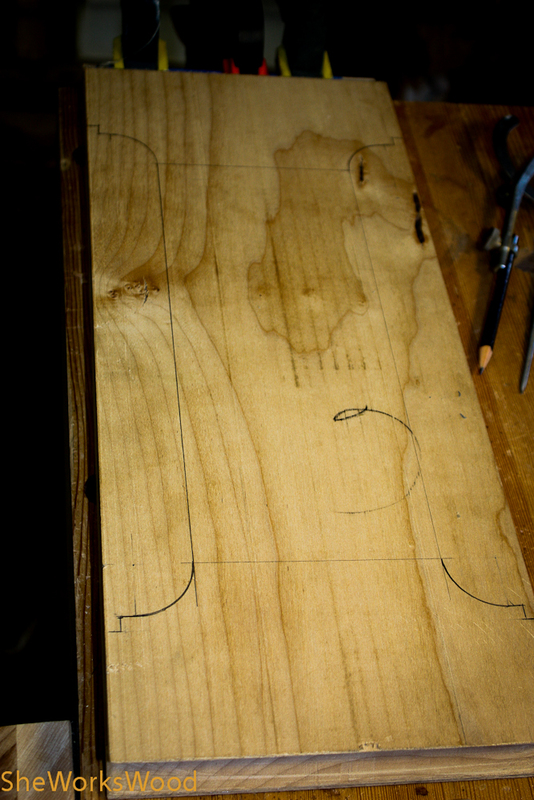 The final product prior to pencil line removal. 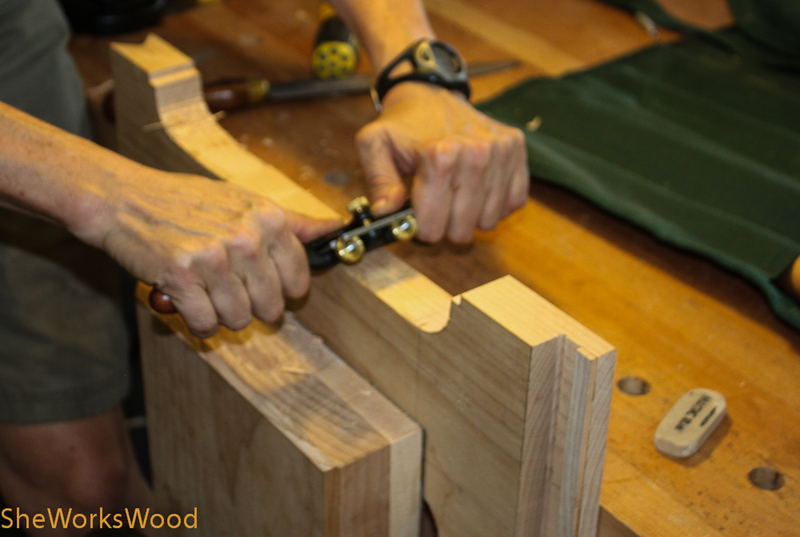 This entry was posted in dead man, rasp, spokeshave, workbench and tagged deadman, rasp, spokeshave, workbench. Bookmark the permalink. Ah yes! I’ve been keeping up with your build as well. 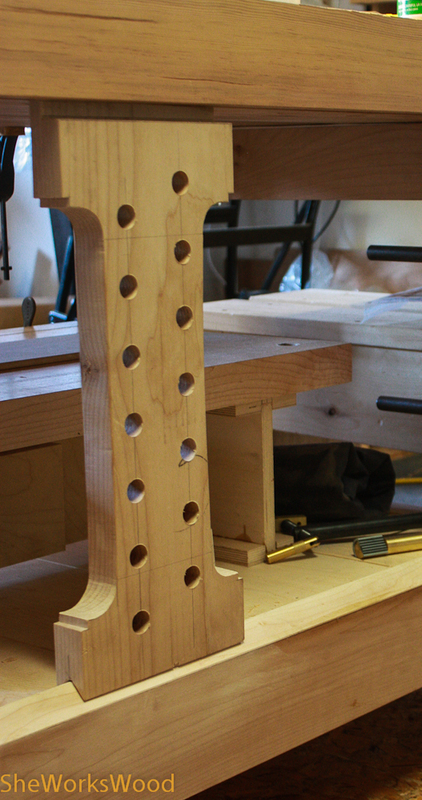 The entire base, deadman and leg vise is made of maple. This project has really endeared me to maple. It’s hard but really nice to work with.